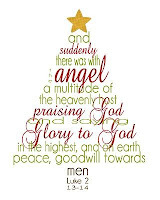 I love Christmas and the Advent season leading up to December 25th. 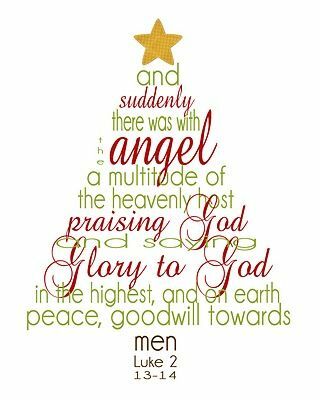 The month of December is full of Christmas concerts, parties, colorful decorations, and--of course--celebrating the "Reason for the Season" the birth of Jesus Christ. This year the month of December will be a bit different for me because I am on a January 1st deadline for the second book in my historical series. So while a lot of festivities are going on I'll be hard at work. I intended to research how Christmas was celebrated in the 1890s, the setting of my book, but I don't have free time to do that. Last January I posted about the Christmas Tree Ship that was an annual event in historic Chicago. What more appropriate time than now to revisit this unique occurrence and the man who started it? 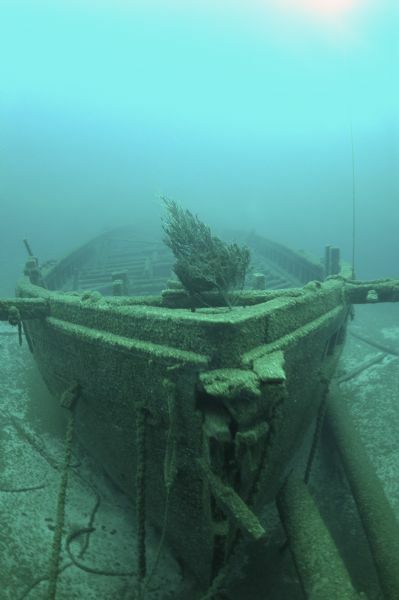 Since coming to the Chicago area over 30 years ago, I’ve heard many stories about large schooners that wrecked during wild storms on Lake Michigan. I thought the dangerous storms only occurred in spring and summer, but I recently heard about a wreck that occurred during late November snowstorm. During the late nineteenth and early twentieth centuries, Sail-powered ships, or schooners as they were called, populated the Great Lakes. 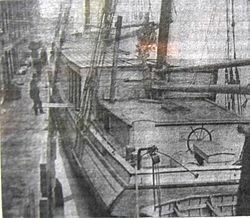 One of the ships, the Rouse Simmons, was built in Milwaukee and made its inaugural passage into service in 1868. In 1870, it became part of a fleet belonging to Charles H. Hackley, that hauled lumber from various ports along the shores of Lake Michigan to the port of Chicago. Later, the ship changed owners several times until Herman E. Schuenemann, a native of Wisconsin and a well-establish lake captain, became a part owner. At the same time, people had begun decorating evergreen trees to display inside their homes to celebrate Christmas. With each year the demand for evergreens grew, and soon, during December, a small group of lake schooners, loaded with Christmas trees, began making runs from northern Michigan to Chicago. After arriving at the port in Chicago, they sold the trees directly off the ships. One of those ships was the Rouse Simmons. Captain Schuenemann loved making the tree run every year, and people soon started calling the Rouse Simmons, the Christmas Tree ship. And every December, it was Captain Schuenemann at the helm when the ship pulled into port loaded down with evergreen trees. By 1912, he had been making the trip for nearly thirty years. Known as Captain Santa, he found great joy of giving many of the trees to needy families. Over the years, his reputation of generosity grew as the ship was eagerly awaiting at the port. By 1912, the Rouse Simmons was 44 years old and showing wear and tear for its years of service as a cargo ship. Still, she was kept in service and on November 22, 1912, carrying close to 5,000 trees in the cargo hold and on its decks, the ship left for Chicago. Some who witnessed the schooner as it sailed for Chicago, said the vessel looked like a floating forest. Legend has it that without the luxury of today’s radar and satellites, there was no way to know about approaching storms and their proximity to the lake. During that trip, a very dangerous winter storm came out of the northwest and caught everyone by surprise. Several known ships sank that day, but, no one had seen the Rouse Simmons since it left for Chicago. As word traveled up and down the Wisconsin shoreline, people watched for the missing vessel. Finally, a life saving station in Kewaunee, Wisconsin reported a schooner had been spotted heading south, it’s flag at half-mast—a sure sign of distress. But with poor visibility and no identifying marks on the ship, no one could be sure it was the Rouse Simmons. Rescue boats were immediately summoned and as soon as they were able, they headed for the spot where the vessel had been sighted. But, when they arrived in the area where the ship was last seen, there was no trace of a schooner. Schuenemann’s wife remained hopeful that her husband had taken the ship into a safe harbor to ride out the storm and he would show up in Chicago a few days past schedule. Sadly, the schooner never appeared. However, through the spring and summer of that year, signs of the schooner’s destiny showed up as pieces of Christmas trees began washing up on shore. 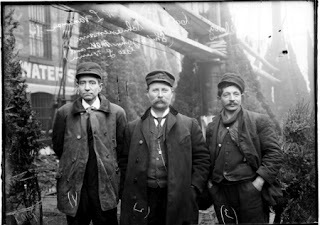 Then in 1924, fishermen found Captain Schuenemann’s wallet, wrapped in oilskin, which protected its contents from water damage. The wallet was returned to his wife. Mrs. Schuenemann and her daughters continued the tree business, first bringing the trees to the city by schooners and later by train. After the widow died, the daughters sold the business and by 1920, the deliveries to Chicago by rail and water ended. In 2006, during an underwater archaeological survey, divers found the ship’s anchor chain, masts and spar along with the bow of the wreck where many of the trees were stored below deck and surprisingly still intact. Pictures of these artifacts can be seen at various websites detailing the Christmas Tree ship’s story. A picture of the wreck that sits at the bottom of Lake Michigan off the shores of Two Rivers, WI is at left. Every year divers place an evergreen tree on the wreckage. Although new to me, the legend of the Christmas ship has been around for years, mixed in with ghost stories and sightings of ships once lost to the waters of the lake. There is even a children’s book about ship. Many publications about the Christmas Tree Ship can be found on Amazon.com. But the most interesting one to me is the account described on the Wisconsin Historical Society's website (link is below) that states that a snow storm didn't cause the schooner to go down at all. You can read the text for yourself at the website link and decide for yourself. Was it a storm or something else? Every December the final voyage of the Rouse Simmons is remembered by the U.S. Coast Guard Cutter Mackinaw as it travels the same route and delivers a load of trees to the needy in Chicago. Have you ever seen a ship wreckage in person? Did you read the Wis. Historical accounting of the wreck? Do you think that theory is more plausible? Either way, the ship got into trouble. Trouble enough that a seasoned ship captain couldn't escape. 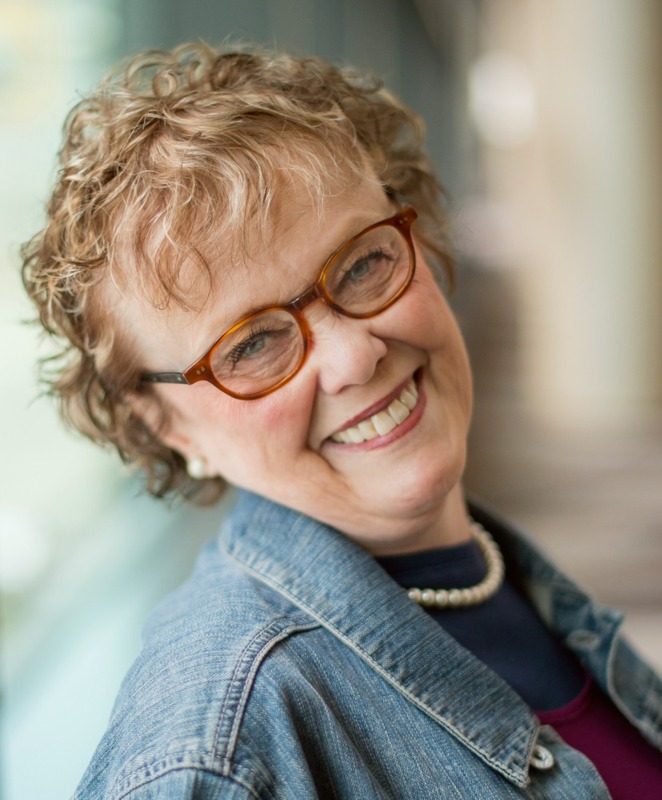 Pamela has written most of her life, beginning with her first diary at age eight. Her novels include Thyme For Love, Surprised by Love in Lake Geneva, Wisconsin and Second Chance Love. 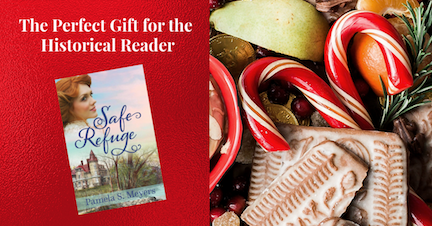 Future novels include Shelter Bay, Book 2 in her Newport of the West series set in her hometown of Lake Geneva, Wisconsin. She lives in northeastern Illinois with her two rescue cats. I still find this story fascinating. I have a friend who teaches scuba diving in the Chicago area. 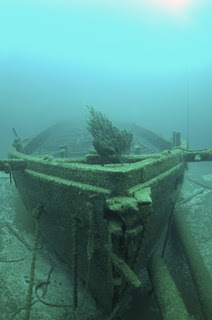 One of the excursions she offers to students is exploring the ship wrecks in Lake Michigan. I understand there are hundreds. Your friend might be a good resource should I ever decide to write stories involved shipwrecks that went down in Lake Michigan. I have a scene in the second book of my series that involves a schooner going down in a bad storm, but it's only a chapter and not more than that. You're right, an appropriate time to revisit this story. Praying for you for a productive month!!! Thanks Connie. All prayers are appreciated!